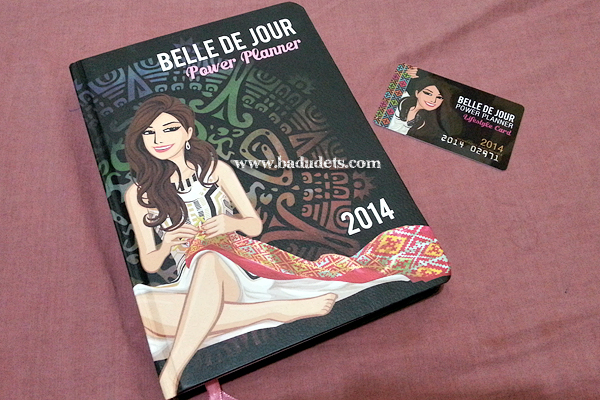 Campus Belle de Jour Planner 2012 plus a GIVEAWAY! | Badudets Everything Nice! Campus BDJ is a multitasking tool that aims to help young BDJ Girls to be encouraged and inspired to put into paper their dreams, their desires and their emotions, making it easier for them to turn them into reality; to go through different new stages, experiences and opportunities that they’ll surely learn from. Young BDJ Girls can use it to keep track of their daily homework and projects, to save reminders on important dates like their loved ones’ birthdays or even school holidays, to jot down new ideas, to envision both short term and long term goals, and to enjoy the many perks (that will help them save when shopping) this power planner has. 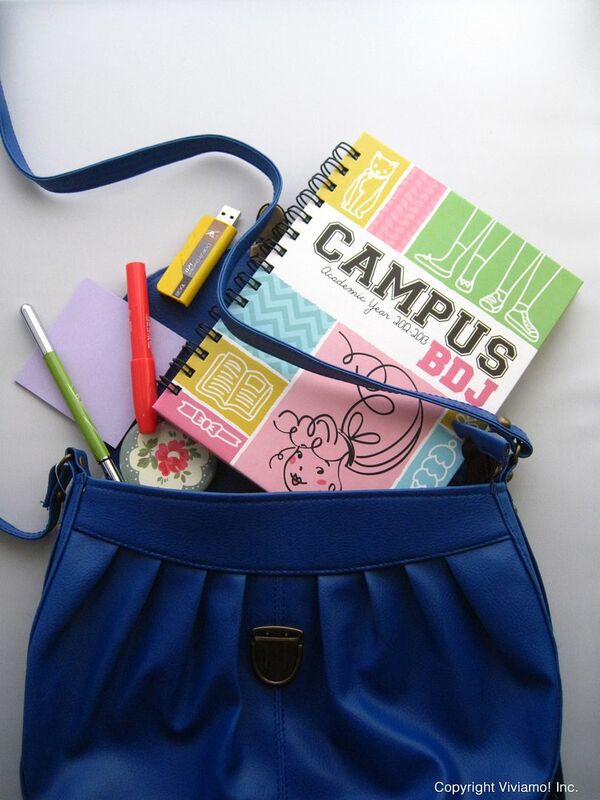 Our staple Campus BDJ features will definitely be helpful: tracking tools to help young BDJ Girls keep tabs on this school year’s goals, schedule, grades and expenses, a nifty project planner, sembreak and next school year’s planner and monthly spaces for the many lists we girls love to make! Each month starts with practical tips and hints to help young BDJ Girls be the best bellas they can be and to enjoy the best of everything life has to offer, in and out of school. 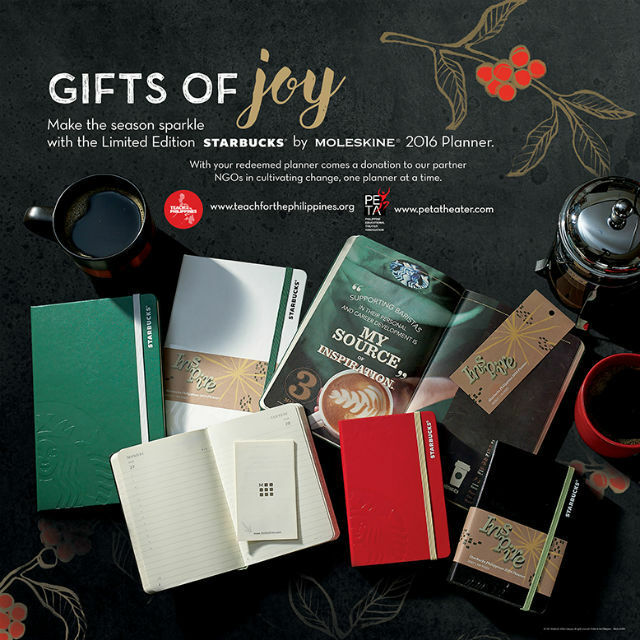 With these pages come a mini-section of mini-workshops, to help preserve and cherish life’s precious memories, and at the same time help discover something new about oneself. From being the best they can be as a student, a daughter and as a friend, Campus BDJ can help girls weave the best stories of their lives! 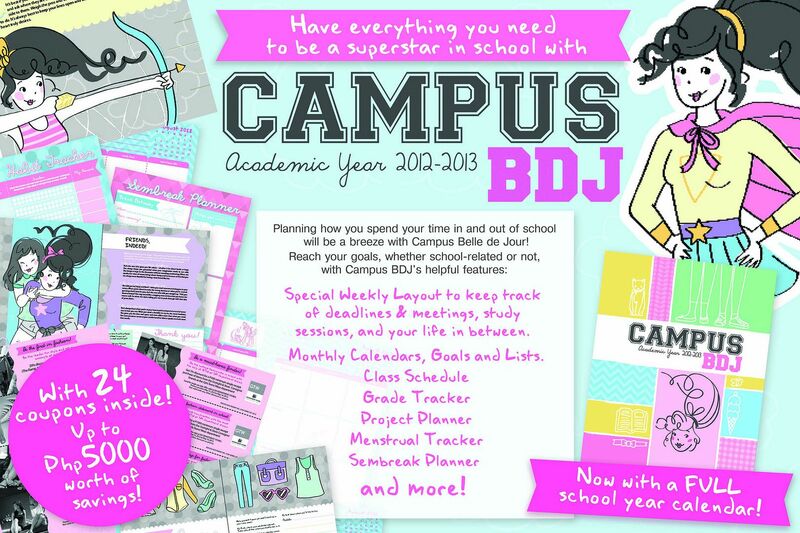 A SPECIAL BACK-TO-SCHOOL TREAT: From May 15 to June 15, Campus BDJ is available at a special online price of Php380 when orders are made directly at the BDJ website (http://www.belledejourpowerplanner.com/bdj/order.php). 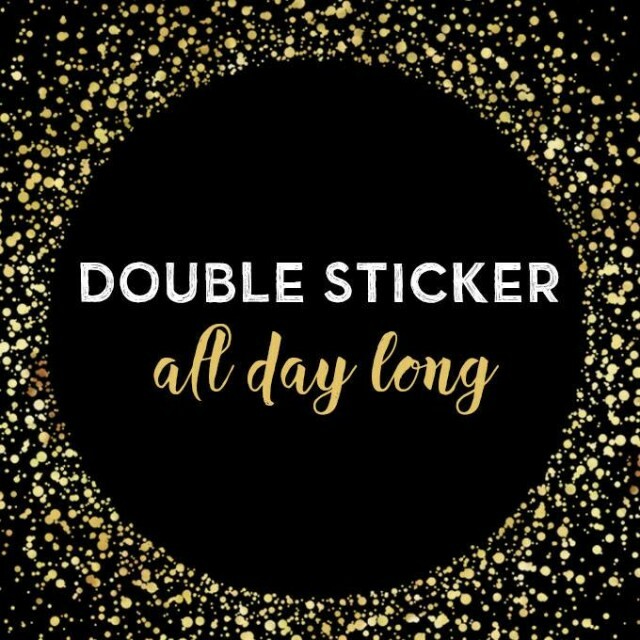 You can also send in your orders to sales@belledejourpowerplanner.com stating your COMPLETE NAME, COMPLETE MAILING ADDRESS, CONTACT NUMBER and ORDER. Wow, that’s an inspiring story Apple. Keep it up! Hey! I’m an incoming sophomore student of BS Biology from University of Santo Tomas! 😀 Yaaaay so glad I found this contest. 😀 Thank you!! At hindi pa ako nagkaroon ng Belle de Jour Power paennlr. Kelangan ko makasali. Hahabol ako. Belated merry christmas and advance Happy new year to you Jeanny and your hubby and the rest of the family. Congratulations for winning the Campus BDJ! You and your bestfriend will receive the Campus BDJ. Details on my email. Thanks for joining!